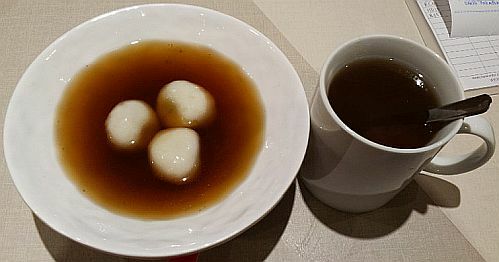 Tong Yuen (Glutinous Rice Balls) in Ginger Syrup at MYR 6.90++ (10% service charge and 6% GST making it MYR 8.05 nett). The Ginger Syrup is quite concentrated so it is sweet with a strong taste of ginger which is peppery (la - 辣). Honey Chrysanthemum drink (Hot) at MYR 6.90++ (MYR 8.05 nett). They put a lot of honey in this drink so it is on the sweeter side but honey is supposed to be good for health and with this price I would expect them to put in more honey. I notice that the drinks from this eatery is quite concentrated so I am wary about ordering those sweet drinks. Will stick to hot chinese tea next time. 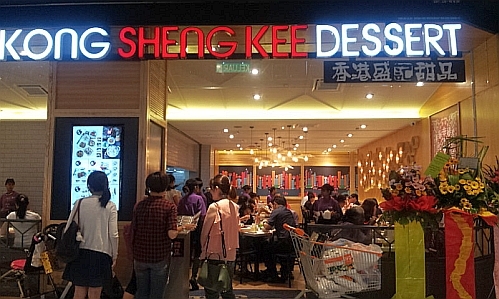 Initially I ordered HK chee cheong fun (flat rice noodles) with prawns but was told that since this is their 2nd day of business, the HK chee cheong fun device is not available yet. My order: Wanton soup at MYR 15.90++ (MYR 18.55 nett). 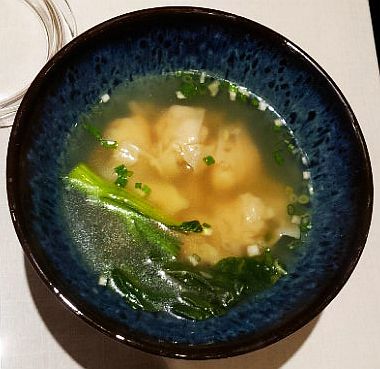 There are 6 wanton dumplings in this soup so that means it is about MYR 3.10 for 1 wanton, about the price of a piece of sushi but each wanton contains one whole prawn so I guess it is somewhat worth it. The prawns taste fresh too. Next time I will take a photo of the cross section of the wanton to show the whole prawn in it. 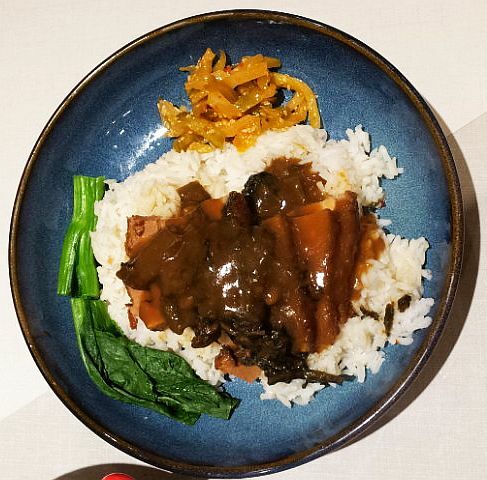 My spouse's order: Braised Pork Belly with Mui Choy (Preserved vegetable) Rice - MYR 16.90++ (MYR 19.70 nett). The rice is very sticky and soft which I like. The gelatinous fats of the pork belly just melt in the mouth but could be quite cloying too so my spouse could not finish it and I had to help him with one quarter of this dish. Of course I try to remove as much fats as I could before eating the pork belly and I could feel pork belly lovers shaking their heads at me as they read this. 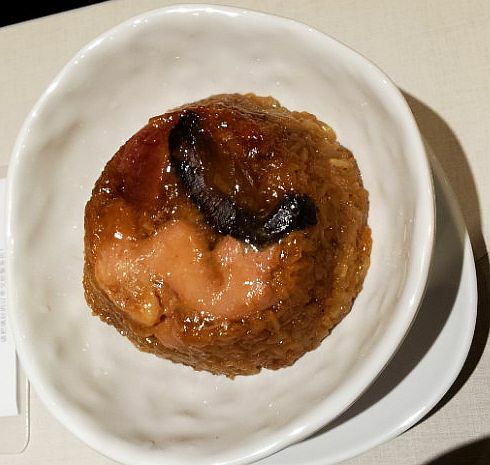 Loh Mai Kai (Glutinous Rice with Chicken) at MYR 7.90++ (MYR 9.20 nett). 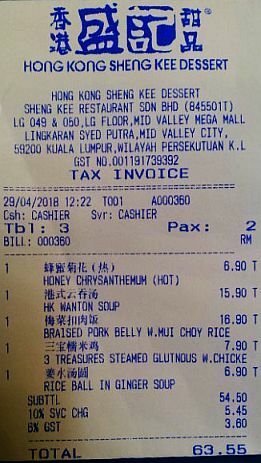 I looked at the receipt again and saw the words "3 treasures" but I did not take much notice of the ingredients so I am not quite sure what those 3 items are though I could make a guess that they are salted egg yolk, waxed sausage and mushroom perhaps. I will order this again and take note of the 3 treasures. Total bill for 2 pax is MYR 63.55 nett. They opened for business on 28 April 2018 (Saturday) so we were there on day 2. Business looks good with the seats fully occupied. Compared to the branches in One Utama and MyTown, this eatery is quite small and the seats are placed very near to each other making the place feels cramped. 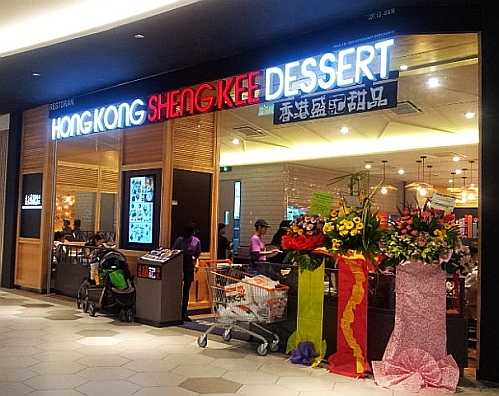 Hong Kong Sheng Kee Dessert at Midvalley Mall is located where Rasa Utara used to be. 2nd day of opening with flowers. As can be seen from the photo above, the dining area is quite small. RM9.20 wow. Loh Mai Kai is very expensive these days :O We can get very good chap fan meal at that price but my boys are huge fans of Loh Mai Kai and we always had to spend so much money buying these for them. Canton I loh mai kai is at a better price. Or can teach Ayden to cook his own. Hmmm maybe this chain is from sg instead of hk. Not a fan of those balls but lor mai kai, I'd have that anytime. The braised mui choy pork belly looks really good too and only RM7.90 at a nice, classier place like this, not some regular coffee shop, so cheap! MYR 7.90+ is for lo mai kai. Pork belly rice is MYR 16.90+. I like the loh mai kai & tong yuen tong sui! Which remind me. I have a pack of the tong Yuen on my freezer. Lol. Braised pork belly rice. I would like that. Time to eat the frozen tong yuen? Which is the branch you frequent? Is there one in IOI city mall? seems like they got many branches now. Quite a positive review from you. I normally won't go since its name says 'dessert', but looks like there are other types of food. you can go eat with your family since not only dessert.